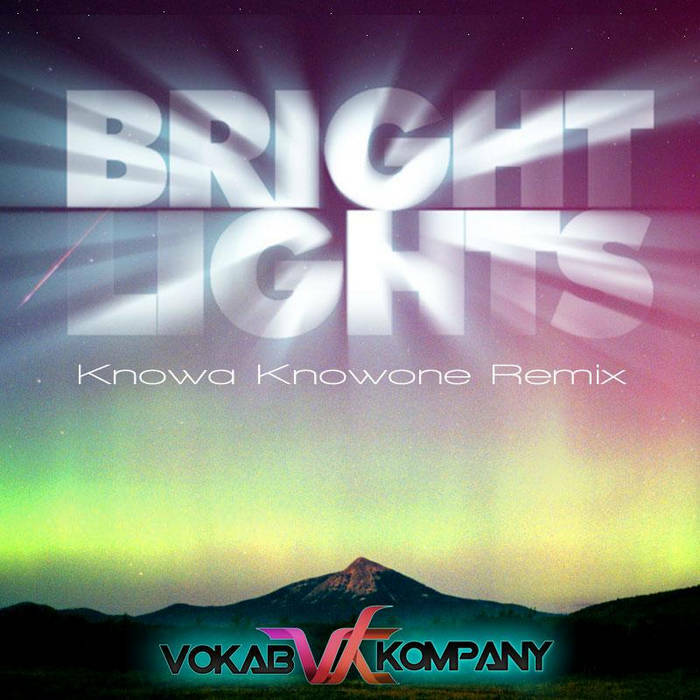 Knowa Knowone, master producer and west coast bass innovator, takes a tasteful foray into the exponentially growing Moombahton genre, with a subtle and classy remix of SoCal electro hip-hop band Vokab Kompany's "Bright Lights". "Bright Lights" is a soulful and poetic, disco infused jam with funk keys and hip-hop sensibility, and Knowa takes it straight to the club with a banging kick drum, beefed up bass, latin style moombah snares and heavy but tasteful synth work. As summer pool parties and outdoor festivals roll around, this one is sure to grace the playlists of your favorite DJs and party locales, getting those booties moving under the bright lights till the sun comes up. I guess you deserve better, so you left in a letter. Bright lights, bright bright lights. Call call me when u get there.